It may not have come home – but make sure you do! Home / Safer Driving / News / It may not have come home – but make sure you do! 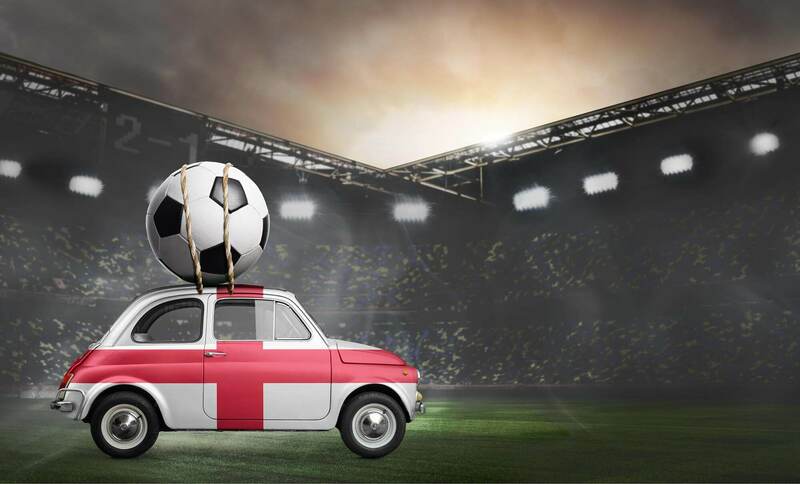 With the football season well and truly underway, mates with cars will become even better mates for getting to and from matches – or ferrying everyone to whoever has the biggest screen for viewing from the sofa. But our analysis of driving behaviour during the 2018 FIFA World Cup this summer suggests that in the excitement of a big match, young drivers may be tempted to speed too. And that could spell danger for everyone on the road. During the World Cup, in the hour before England games kicked off, speeding among our drivers increased by over a fifth. The bigger the game, the more people speeding. Before the knockout games, speeding increased a further 10%. And ahead of the Croatia semi-final, speeding increased by a whopping 43%. We also saw more speeding before weekend games – for every mile driven in the hour before a weekend game there was a 30% increase in the amount of speeding. Before the Sweden game (on a Saturday) young men were the drivers rushing home the most. Speeding is a risk for every driver on the road, not just men. However, it is even more dangerous for drivers with the least experience. When driving over the speed limit your car is harder to control, there’s less time to react to anything unexpected, and it will take longer to stop. And if you’re driving on country roads, travelling just 10mph faster than the typical 40mph makes you 33% more likely to crash. Making these sort of schoolboy errors during football season may get you much more than a yellow card. Crashing because of speeding can cause emotional, physical and financial impacts that could last a lifetime. What time shall we leave? Spending just 3 minutes an hour over the speed limit means you’ll be 10% more likely to have an accident. Leaving earlier means you’ll have no worries about missing the start of the game. Driving on country roads? The speed limit is a maximum, not a target. Drive for the conditions – not the speed limit. It’s particularly dangerous to speed on narrow country lanes. Make sure it’s you that’s coming home – no game is worth the risks caused by speeding. Analysis of insurethebox speeding data comparing the hour before England games kicked off against the same hour in the week before, which are broadly similar to the incidences of speeding one month before, indicating the same trend between one week and one month.